Send us an communication@aslm.org to add your local event to the ASLM calendar. What: This conference aims to serve as a platform for West Africa laboratory professionals to share best practices, acquire knowledge and debate innovative approaches for better diagnostic outcomes for Africans. What: The 13th INTEREST Conference brings together scientists involved in HIV treatment, pathogenesis, and prevention research in Africa to share pivotal findings, promote collaboration, and transfer experiences across several fields and many continents and showcases cutting-edge knowledge in the diagnosis and treatment of HIV and the prevention of the HIV-1 infection. What: The summit brings together patient representatives, ministers of health, policy makers, civil society, international organizations, global funders and public health specialists under one roof to provide regional effects to tackle viral hepatitis. The theme for this summit is “Eliminating Viral Hepatitis in Africa; Implementing the viral hepatitis strategy”. What: Excite. Engage. Explore. Extract. Evolve. At ASM Microbe you will: Delve into your scientific interests and specialties with sessions in eight specialty tracks curated just for you. Explore cutting-edge research in the poster and oral presentations. Connect with experts in the microbial sciences. Where: San Francisco, California, U.S.A.
for the world’s leading researchers. What: This biennial conference presents the critical advances in basic, clinical and operational research that moves science into policy and practice. The meeting sets the gold standard of HIV research featuring highly diverse and cutting-edge studies. What: The theme is “Harnessing One Health for Global Health Security”. The conference offers a unique opportunity for participants to share their expertise, experiences and possible solutions to global health security through the One Health approach. 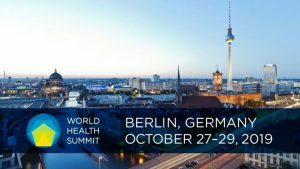 What: The conference aims to improve health all over the planet, catalyzing that process through collaboration and open dialogue, and steering tomorrow’s agenda to improve research, education, healthcare, and policy outcomes. What: Conference topics to be voted on here. What: The conference draws tropical medicine and global health professionals representing academia, government, non-profits, philanthropy, NGOs, industry, military and private practice. It includes four pre-meeting courses and draws approximately 4,600 attendees. What: The conference theme, “AIDS FREE AFRICA – Innovation, Community, and Political Leadership” engages the whole continent and all stakeholders in the Post-SDG Framework, where sustainability of the response in reaching 90, 90, 90 UNAIDS will not be possible if human rights are not key a priority for leadership in the context of strengthening the application of science-based evidence.